With halloween coming up we were racking our brain of what Jack should be for Halloween. 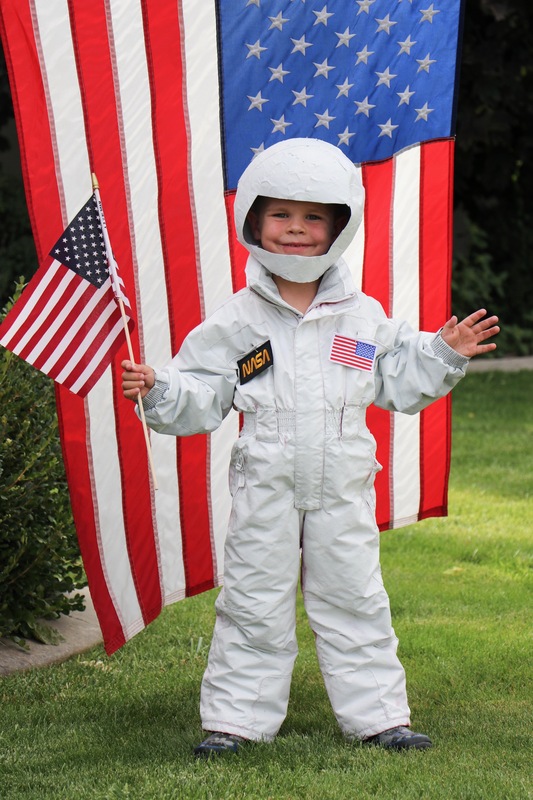 My sweet Jack has always been obsessed with the moon, so when we were thinking about what he should be for Halloween we instantly thought, “the first man on the moon, Neil Armstrong!”. This costume was so fun to make! Jack totally got into character when he was dressed! It was so cute! 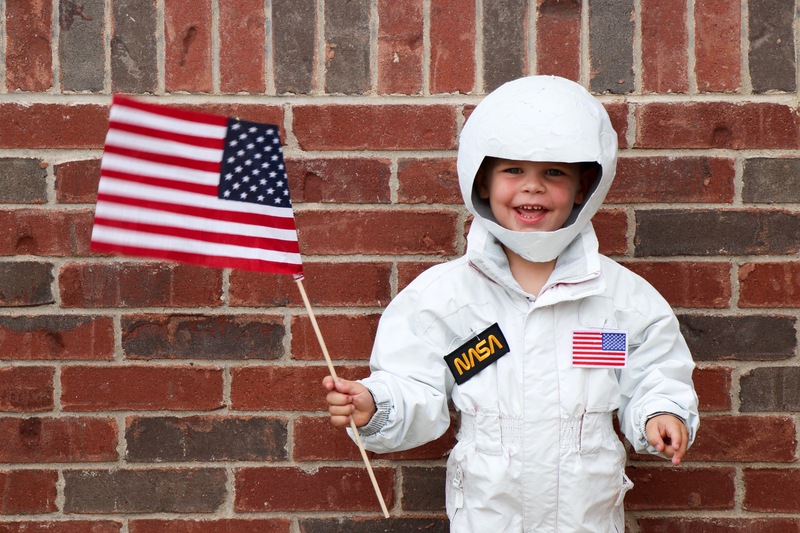 I loved that we could make this costume fun and teach him about the Smartie’s of the world while doing it! Check out all the Smarties HERE! Smarties are our favorite candy for Halloween because first and foremost they aren’t messy! We eat Smarties all year long because of that reason. I always have a few packed in my diaper bag to bribe my kids when we are in public. We also love Smarties for Halloween candy because they are gluten free, peanut-free, and dairy-free so it appeals to all kids! 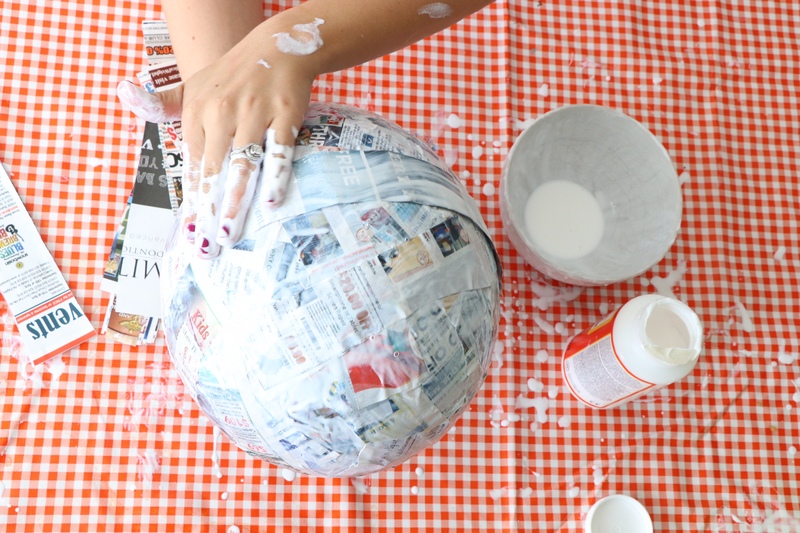 1: Cut up newspaper in strips, pour mod podge glue in a bowl and blow up your balloon. 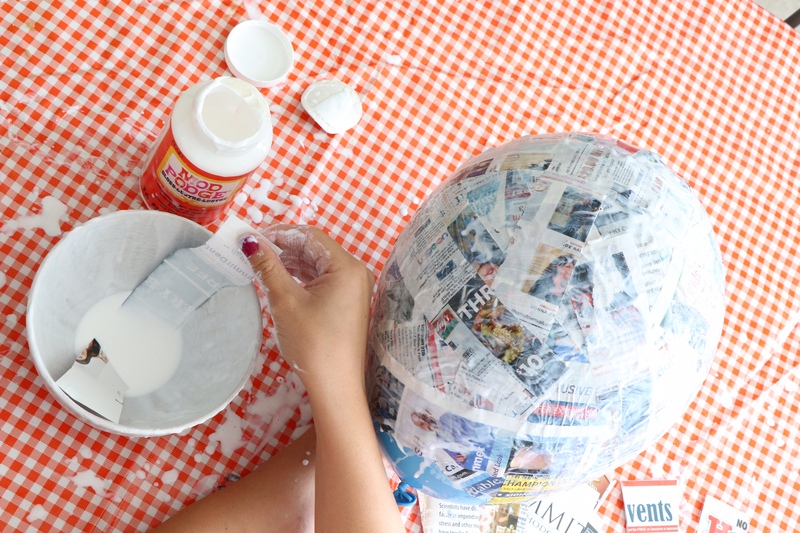 Dip the strips of newspaper in the bowl and lay them on the balloon until the balloon is completely covered. 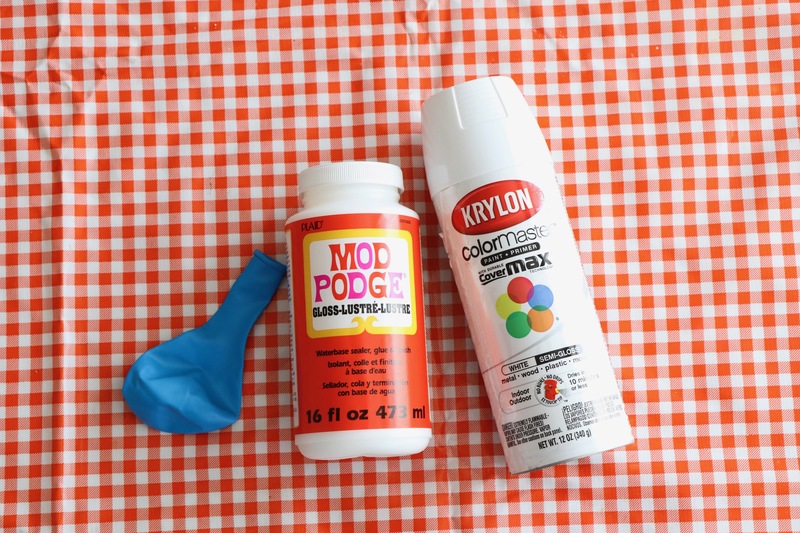 Let the balloon completely dry. 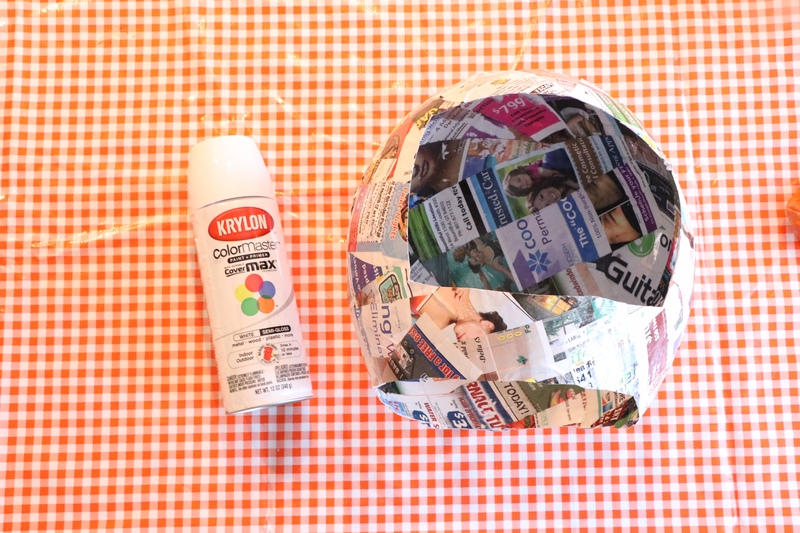 2: When the newspaper is dry on the balloon. Cut out a big rectangle in the middle for the face and cut straight around the bottom so that it is straight and fits over your child’s head. 3: Spray painting time! Spray paint a light coat of white paint, let it dry and then spray a bigger coat of paint. Add more coats if needed. 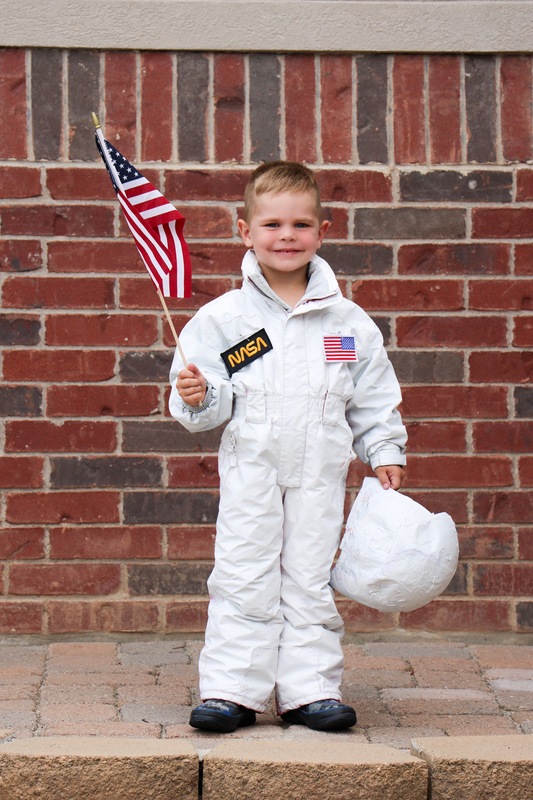 Hang up the snowsuit outside and spray paint the snowsuit white until it is completely white. 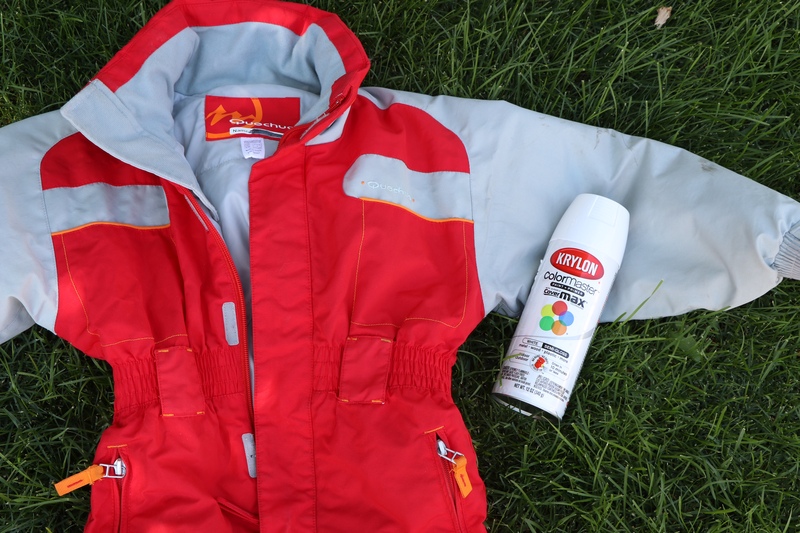 When the snowsuit is dry and ready either hot glue or sew on the patches to the snowsuit. 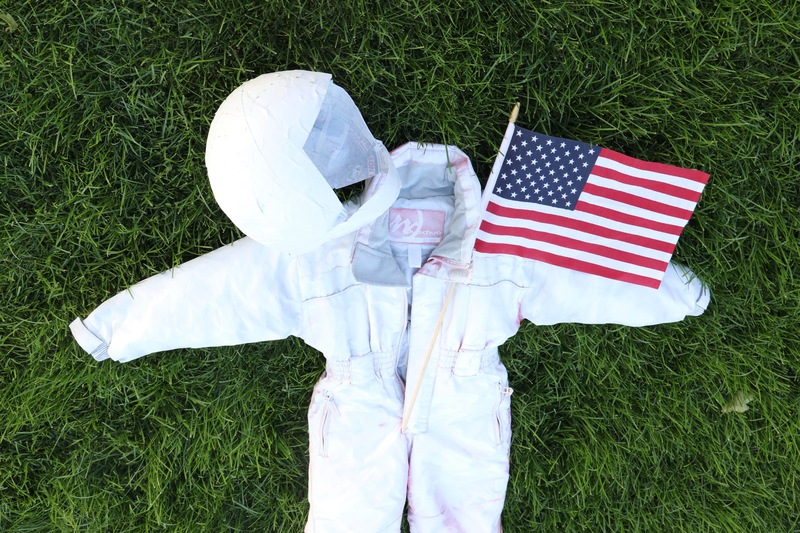 This costume is SUPER easy and SO CUTE! I couldn’t handle how adorable Jack looked in this cute costume. Partnered with and Sponsored by Smarties for the #LittleSmarties Campaign. Just normal spray paint? Didn’t the costume stink?